I love burritos. You probably do too. 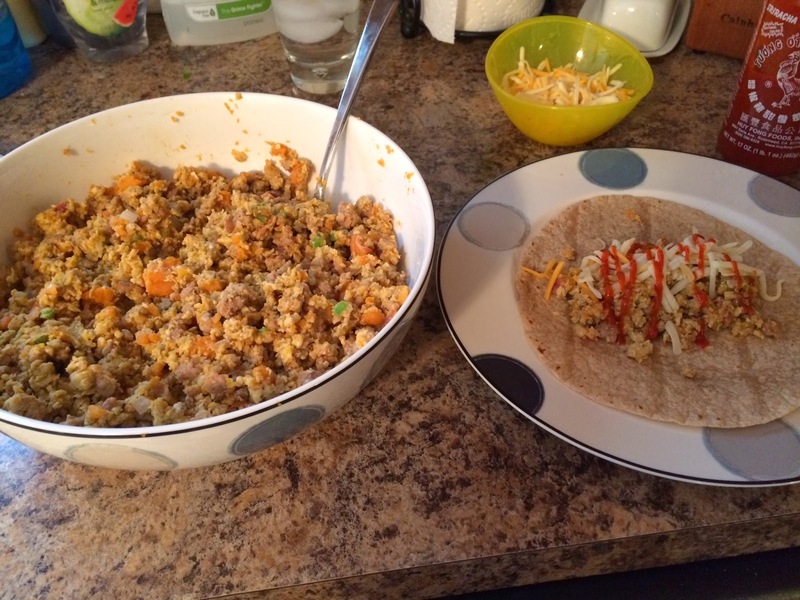 Breakfast burritos are my newest love (+Chipotle Mexican Grill take note since you're open to new products now), as they can be eaten for breakfast, lunch, and even dinner if you are so inclined. 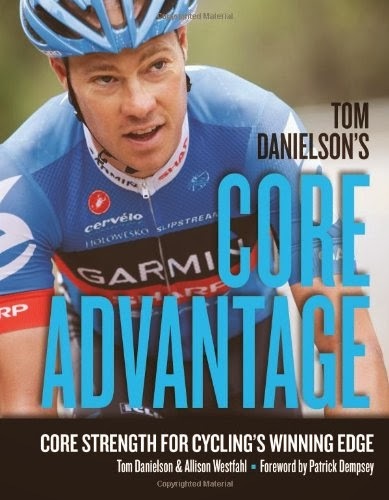 They are great to have before a long ride too - a good healthy mix of protein, fat and carbs. The problem I was having however, was finding packaged breakfast burritos that didn't cost $3 a piece. Not easy to do. 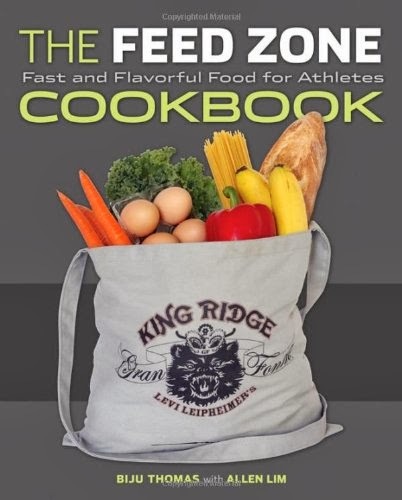 I had resigned to the fact that I would only be able to afford the Amy-brand knockoffs from Target when someone on Google+ reminded me of The Feed Zone Cookbook's version and explained how they wrap them up and freeze them for easy reheating. I had tried the recipe before and liked it quite a bit, but never really thought about the freezing part. Genius (whoever you were). Okay, I will say this endeavor requires a bit more work than tearing a wrapper, but will stress that it is worth every single fold of the tortilla. It will also save you a burrito full of money, more on that to come. 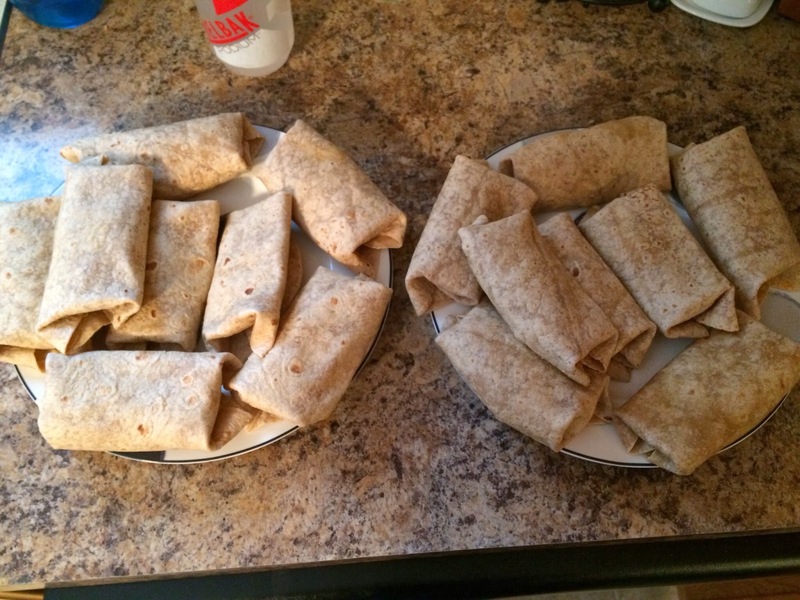 When you're done prepping the mix, fold them into small burritos and set them on a plate to cool. When they've reached room temp, use Glad Press'n Seal to wrap each piece - this keeps moisture in and makes storage neat and tidy. 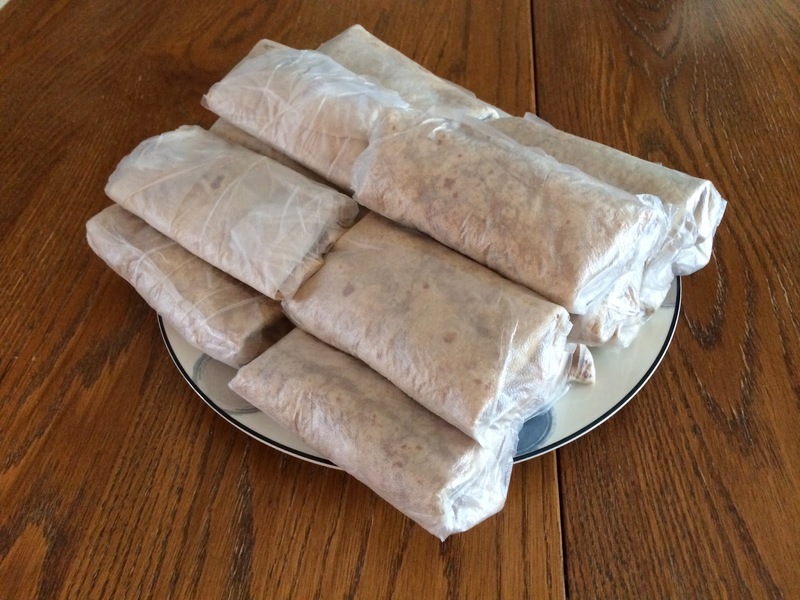 Place all of the wrapped burritos in a sealed freezer bag and throw them into the freezer. 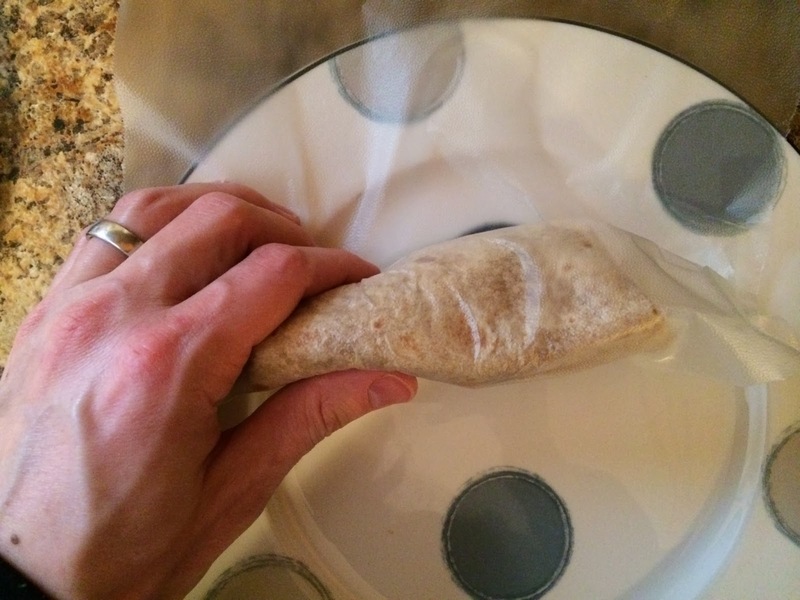 When you're ready to eat, just unwrap the burrito from the plastic wrap, and then wrap it loosely in a paper towel and place it on microwave safe plate. Microwave for 1:45 - 1:55 and you should be good to go. This is actually the exact cooking instruction for the pre-packaged version and it works very well. 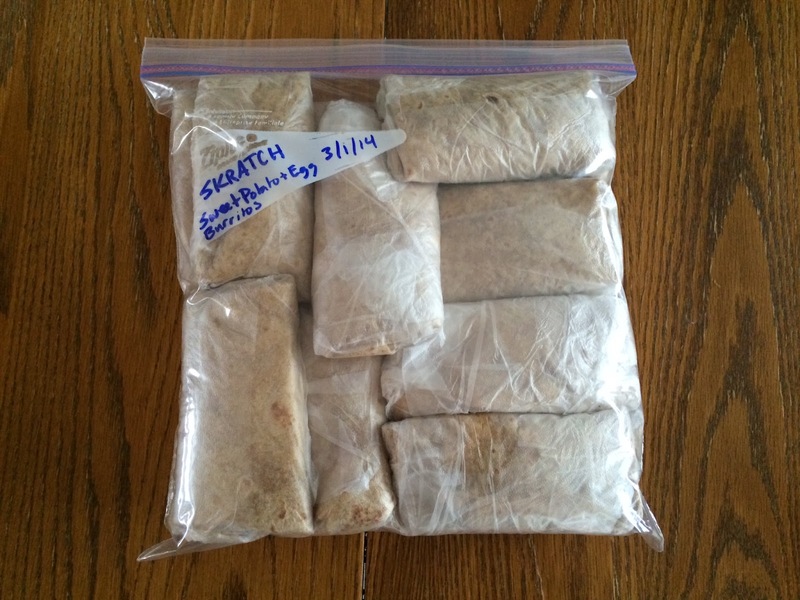 Today's batch yielded 16 burritos. My wife, who may love these more than me, estimates we spent $12 on the ingredients, meaning each lovely little meal comes out to a thrifty (and nutritious) $.75. I probably spent an hour from start to finish, but I do actually enjoy cooking from time to time - especially when it's something (healthy) both my wife and I can enjoy. All natural ingredients, besides maybe the whole wheat tortillas, great taste and a great price. That is a win in my book.